Author: Joan, London Set In . . .
A two-time winner of Australia’s prestigious The Age Book of the Year Award, Joan London’s debut novel, Gilgamesh, was published to rapturous acclaim both in her native Australia and in the United States. Now, London has delivered The Good Parents, a tender and compelling tale of mother love and the harrowing moment when a daughter spreads her wings and vanishes from her parents’ orbit. Maya de Jong is an eighteen-year-old country girl who moves to Melbourne and begins an affair with her new boss. When Maya’s parents, Toni and Jacob, arrive for a visit, Maya is gone?no one knows where. Maya, for reasons of her own, leaves haunting clues in late-night calls to her brother at home, carefully avoiding detection by the two people who love her most. Ultimately, to find her daughter Toni will have to revisit a part of her past that she thought she had shut off forever?the closest she ever came to being a lost girl herself. 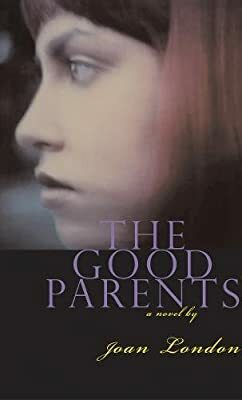 The Good Parents is at once utterly contemporary and a story as old as humanity itself: a stunning portrait of familial love and how far we can drift apart in the moments between the words we speak.